Thionyl chloride converts carboxylic acids into acid chlorides. This reaction liberates HCl and SO2 gas. Replacement of the hydroxy group in RCOOH by chloride gives rise to acyl chlorides. Acid chlorides can be formed by treating carboxylic acids with thionyl chloride (SOCl2). This reaction fails with formic acid (HCOOH) because formyl chloride (HCOCl) is unstable. 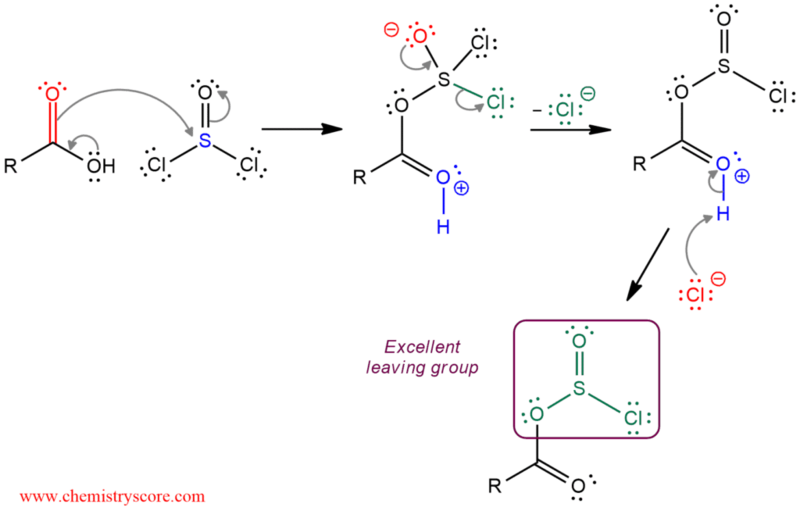 The first part of the mechanism converts the hydroxy group (poor leaving group) into a better leaving group, which is accomplished in three steps. The carboxylic acid function as a nucleophile and attacks thionyl chloride. A chloride ion is expelled as a leaving group and finally, a proton transfer is used to remove the charge and generate an excellent leaving group. 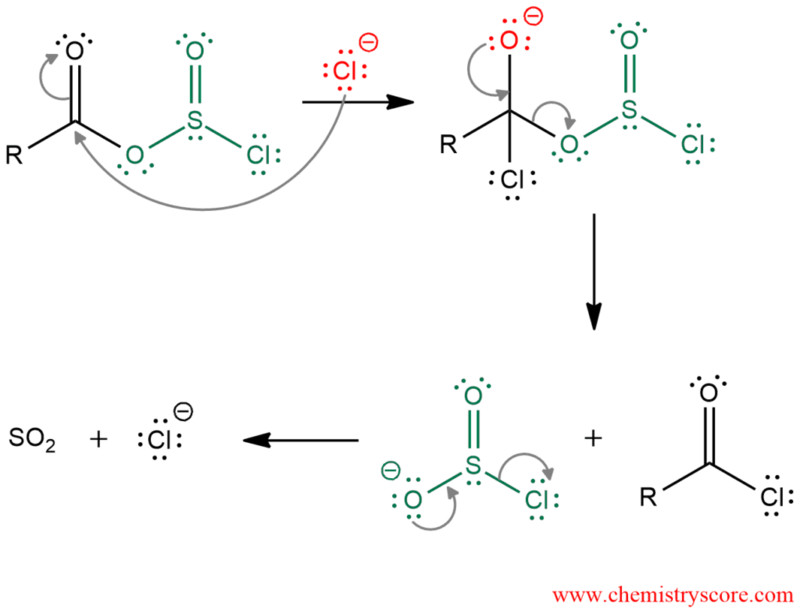 And in the second part of the mechanism, the elimination of the leaving group occurs and the formation the final product, which is accomplished in two steps: A chloride ion acts as a nucleophile and attacks the carbonyl group and a leaving group is expelled which then degrades to give SO2 gas and a chloride ion. Formation of a gas (which leaves the reaction mixture) forces the reaction completion.